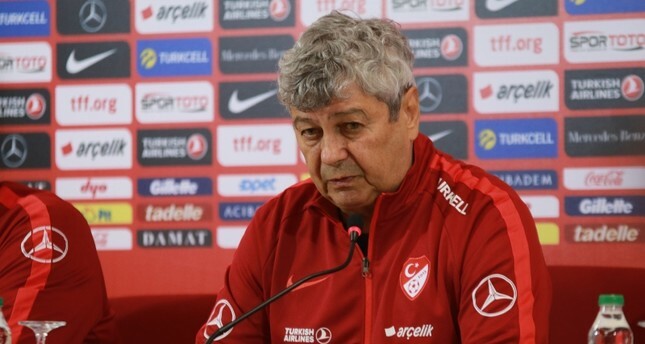 The Turkish Football Federation (TFF) announced Monday that it had terminated the contract of the national team's head coach Mircea Lucescu, paving the way for Şenol Güneş to take over the role. In a statement to the press, the TFF said the decision to part ways with the Romanian coach was mutual, and thanked Lucescu for his time and efforts for Turkish football and sensitivity toward young players in training them to create the team of the future. "In this journey to renew and rejuvenate Turkey's national team squad, I believe we have completed our work. In light of this, the TFF and I have mutually agreed on this decision to clear the way for the management and the new head coach before the upcoming qualifiers for the 2020 UEFA European Football Championship," Lucescu said. He also thanked TFF President Yıldırım Demirören and board members for their faith in him and their support, adding that Turkey will always have "a special place" in his heart. The Romanian coach's contract was set to run out on June 30, 2019. He had a pretty dismal record with the national team, picking up only four victories, compared to seven losses and six draws. Turkey has struggled under Lucescu since he took the helm on Aug. 4, 2017, and was relegated to League C in the UEFA Nations League after finishing bottom of its group. Media reports had said that current Beşiktaş coach Güneş, who was Turkey coach between 2002 and 2004 when the team finished third at the 2002 World Cup, was expected to work with the Turkish national team for matches against Albania and Moldova in late March. The veteran manager, however, played down the rumors in a press conference Saturday. Güneş, whose contract with Beşiktaş ends this season, said he wanted to stay in Beşiktaş. "I have a deal here, so does Lucescu. I don't want to coach both Beşiktaş and the national team at the same time," he said. Though he hinted that he may want to take up the national team job once his contract with Beşiktaş ends, Güneş said he would "do everything" to stay with the Black Eagles. The 66-year-old has won the Turkish league twice with Beşiktaş. He has also coached Trabzonspor and Bursaspor.